Brandy is made by distilling grapes and then aging them in an oak barrel. Cognac is a type of brandy that is also aged in an oak barrel and is seen by many to be a ‘high-class’ brandy. We get Cognac from Western France. The process begins by fermenting whole grape skins, including the seeds, and then on to a ‘pot still’ where it gets ‘double-distilled’. From there it is transferred into an oak barrel to be aged. The oak barrel aging is key to getting the desired flavor. There are abbreviations on the Cognac bottles that reveal the quality of the brandy you are drinking. These abbreviations are a reflection of the time that this particular batch of brandy spent aging in an oak barrel. 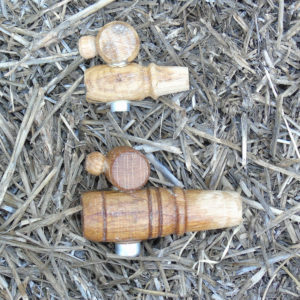 Why Use an Oak Barrel? 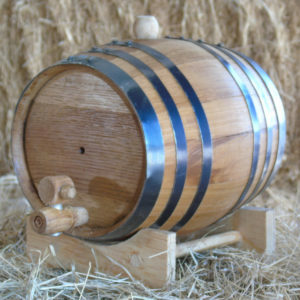 An oak barrel gives spirits a flavor that no other type of aging container can give. If you age the same spirit in a stainless steel barrel and an oak barrel, the difference will be undeniable. An oak barrel aged spirit will always have a much better flavor. An oak barrel imparts tannins and vanillin into the spirits. 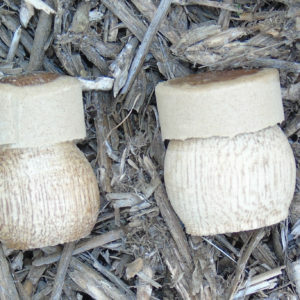 An oak barrel is water tight but still slightly porous and is able to impart its unique qualities into whatever spirit it holds. 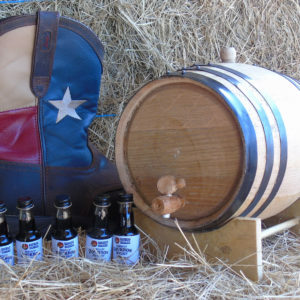 That is why oak barrel aging is the most popular method for the most popular brands of spirits. At first, distilled Cognac is aged for a full year in a new oak barrel. 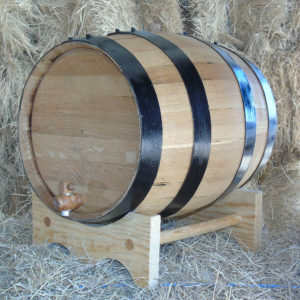 However, once it has run its course in that first oak barrel it is moved over into a used oak barrel for further aging. One of the abbreviations you see on Cognac bottles is ‘VS’ which means ‘Very Special’. That means it has gone though oak barrel aging for at least 2 years. For a Cognac that has aged for 4 years the abbreviation on the bottles is ‘VSOP’. If aged for over 6 years the abbreviations are ‘XO’. It is the double distillation process that gives Cognac its 70% alcohol content. Any Cognacs labeled VSOP should be served at room temperature. There is another French brandy that is very well known called ‘Armagnac’. This one comes from the Southwest of France (Armagnac is located there). This brandy is only distilled one time and then gets aged in an oak barrel. Armagnac brandy still has the same system for labeling like Cognac, with abbreviations that indicate how long it was aged in an oak barrel. There are a lot of European countries that produce different brandies. After France, Spain is the next largest brandy producing country. In Southern Spain, namely Jerez, brandy is made as well as many houses that produce sherry. In the U.S. it is California that produces a variety of brandies. Let’s begin with what Port is not. It IS NOT a distilled spirit. It is commonly viewed as being a wine that has been fortified. Rather than distilling whole grapes this wine is fortified by adding alcohol to it. Most traditional port is created in the Northern Portugal Duoro Valley. Port is a name given to fortified wines created in this region. However, there are other European producers of fortified wines. It is believed that Port originated as a drink back in the 17th-century Anglo-French war. This 17th-century war caused the English government to begin taxing all goods from France. That forced many English merchants to start obtaining their wine from Portugal. As these wines were in transport to England, some of the sailors began to try mixing them with their brandy. That is how Port was created. Port is a very sweet wine. The process of fermentation is interrupted by the addition of the brandy. This leads to a part of the grape sugar remaining in the mix un-fermented. Port wine glasses are smaller than traditional wine glasses. Real Sherry is of Spanish origin. It is another wine that has been fortified. To make Sherry, white wine is put through a fermentation process that makes it dry. Alcohol is then added to ‘fortify’ it and then it goes into an oak barrel for aging. After aging is the bottling process. When you purchase Sherry that has gone through this aging process it will be very dry. It can be made sweet by adding in some raisin grape juice. Sherry can be served at room temperature or after a short chilling. It goes well with meals.